Facebook recently rolled out a new feature to all users. The feature is called Embedded Posts and works much like the embedding feature from content networks such as YouTube. The feature is currently working on both personal profile posts and pages. 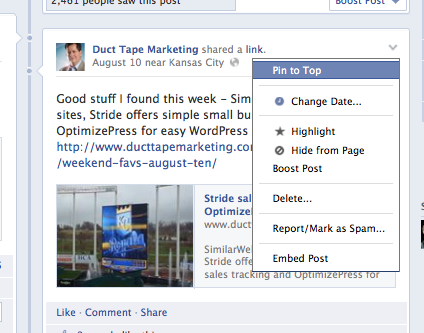 This feature allows you to embed a post from Facebook on any page you have access to. 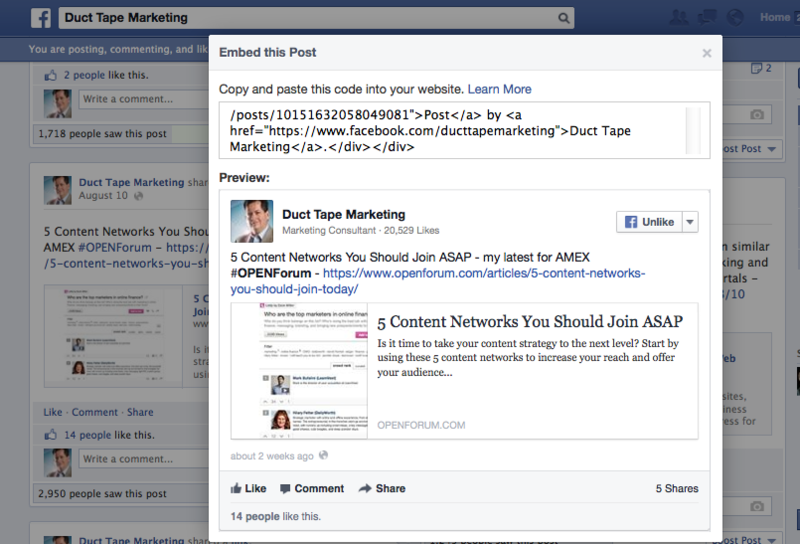 When you embed the content, clicking on it takes you to the original content on Facebook. The embed feature appears to work with any public content. So, most public page content and content on profiles you are connected to. 1) If you have a particularly engaging post on Facebook, one that garners lots of comments, questions and reactions, running said post, interaction and all, in a blog post on your site might be a great use of the content. 2) Create a Facebook curated news post – Imagine running five or six of your favorite Facebook posts from friends, clients and partners in a digest blog post. Post by Kerry O’Shea Gorgone.